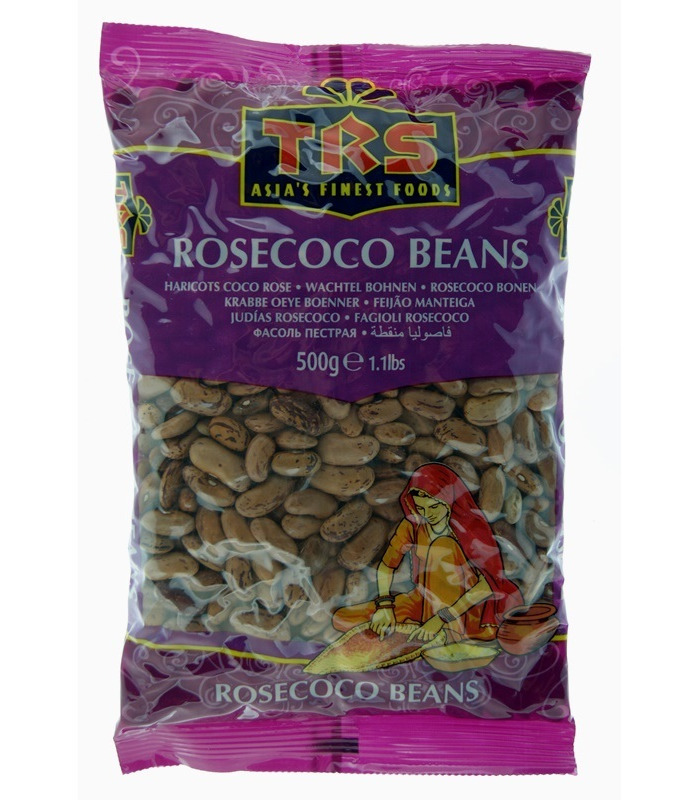 TRS Rosecoco Beans are also known as Borlotti Beans and are often used in Italian and Indian cooking. Like Rajma, they are kidney-shaped but in a lighter pink with dark reddish spots. They have a rich, creamy texture. 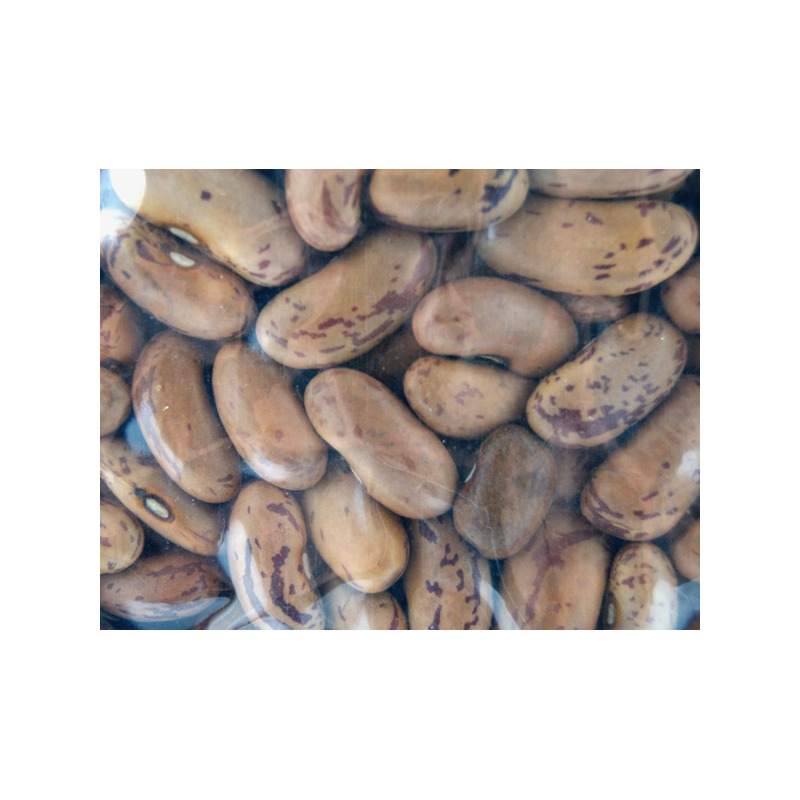 Uses - Rosecoco beans be added to the non-vegetarian dishes like Hack Fleisch (mix of beef and pork) and Chilly Con Carne. - Sautéed with spices, tomatoes, onion, garlic and ginger, it can be served as part of the Indian main course along with rice and roti. - It can also be added to salads and chaats. - It can be used in soups, pastas and casseroles. Health benefits - They are rich in dietary fibre and help reduce bad cholesterol. - They are also rich in iron which increases energy levels. - They are high in protein and can act as a great substitute for meat etc. for vegetarians. - Rosecoco beans are rich in anti-oxidants and hence have a lot of anti-aging power in them. - They are rich in minerals like potassium, magnesium, calcium. 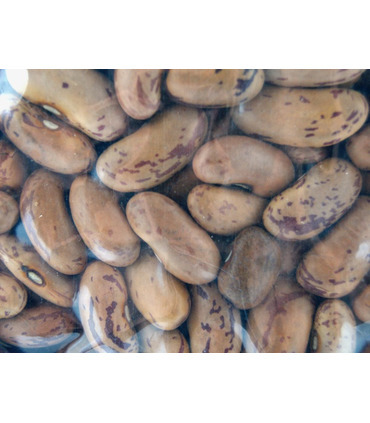 Storage: Store the Rosecoco Beans in an airtight container, in a cool, dry place. Recipe: Rosecoco Curry 1. Soak Rosecoco beans overnight. Then pressure cook (for over an hour) till soft. 2. Fry chopped onions. Then add ginger, tomatoes, green chillies. Add a little garam masala (1/2 tsp). Fry till the ingredients are well cooked (alternatively, the onions and tomatoes can be ground separately and then fried with masalas) 3. Add Rajma masala (1 tsp) and cook for a few minutes. 4. Add this to the cooked Rosecoco beans and mix well. 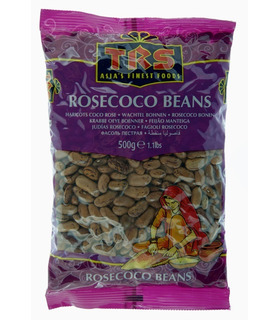 TRS Rosecoco Beans are also known as Borlotti Beans and are often used in Italian and Indian cooking. Like Rajma, they are kidney-shaped but in a lighter pink with dark reddish spots. They have a rich, creamy texture. 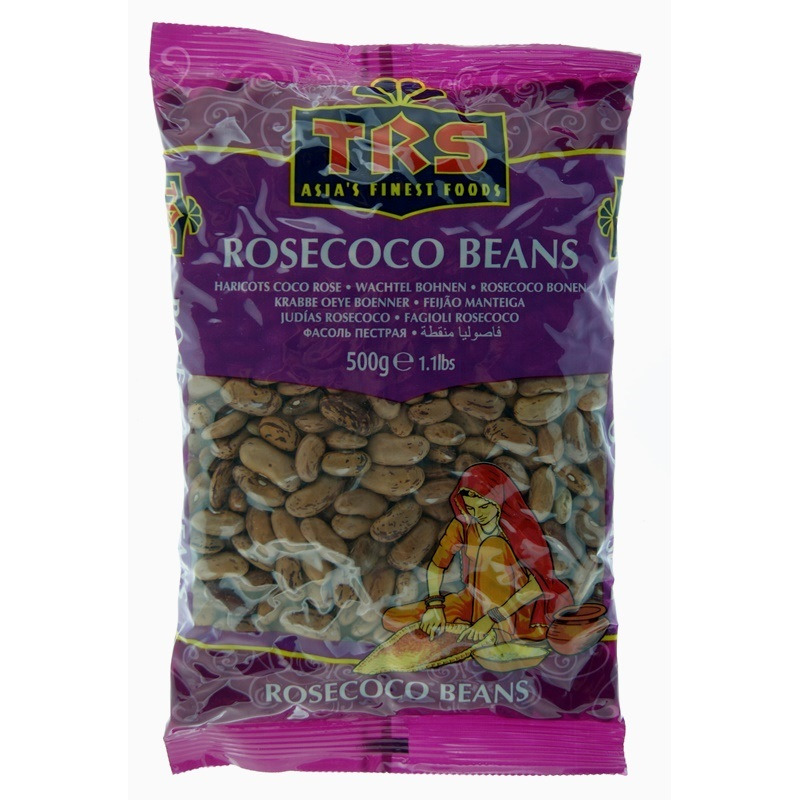 - Rosecoco beans be added to the non-vegetarian dishes like Hack Fleisch (mix of beef and pork) and Chilly Con Carne. - Sautéed with spices, tomatoes, onion, garlic and ginger, it can be served as part of the Indian main course along with rice and roti. - It can be used in soups, pastas and casseroles. 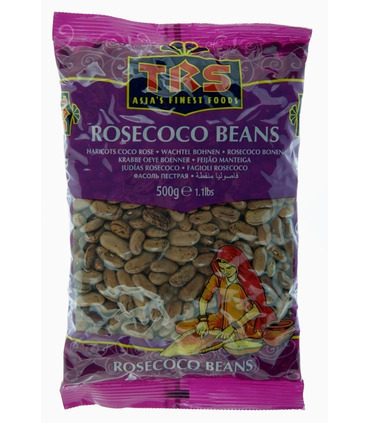 - Rosecoco beans are rich in anti-oxidants and hence have a lot of anti-aging power in them. - They are rich in minerals like potassium, magnesium, calcium. Storage: Store the Rosecoco Beans in an airtight container, in a cool, dry place. 1. Soak Rosecoco beans overnight. Then pressure cook (for over an hour) till soft. 4. Add this to the cooked Rosecoco beans and mix well.